The winter season is full of fun activities that the whole family can appreciate. From skiing and snowboarding to skating and ice hockey, there are many sports that people of all ages enjoy. While it is fun to take the sled out and down the hill on a snow day, keeping yourself or your children safe while doing so is very important. Be aware of weather conditions before you go out. A day of ice skating is full of fun; not so much if the roads are slick with ice as well. Start slow. Ease into your activity – going too fast immediately in the cold can result in muscle and tendon tears. Check children for wet clothing and replace regularly to prevent frostbite. Teach children to roll off sleds if they cannot stop – equip those little ones with a helmet for extra safety. Apply sunblock. 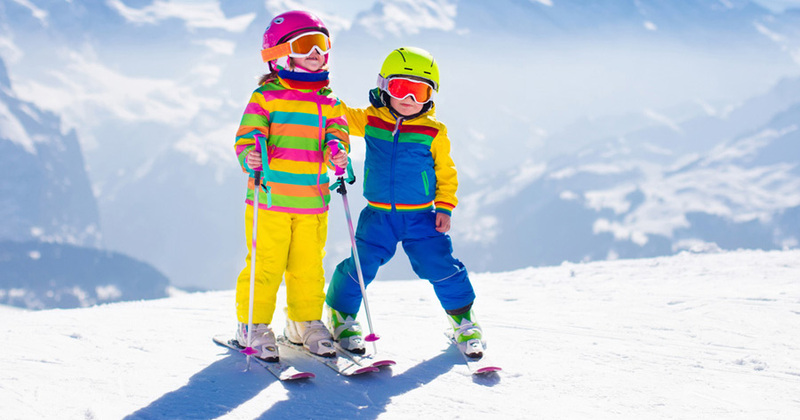 While skiing may not seem as risky as a day at the beach, sunburns are highly likely to occur. Especially at high altitudes where the skin is more exposed to the sun’s rays. Muscles can become fatigued after hours of rigorous skiing. Be sure to take breaks to prevent injuries. Remember to keep yourself and children hydrated. If an injury does occur, be sure to seek medical attention as soon as possible.